Bibury Accommodation England UK - The cotswolds village of Bibury is small but beautiful nestling beside the river Colne. It is not commercialised only having a few tourist type shops and places of accommodation. This is a village for peace and tranquility. Welcome to The Swan Hotel, a handsome former coaching inn, beside the River Coln in Bibury. The village, which is nestled in the Cotswold Hills, which William Morris called ‘the most beautiful village in England. Come and enjoy the hypnotic charm of the babbling river and the gentle pace of life. The village’s beautifully restored Cotswold stone cottages and meadows are a big attraction for photographers and historians alike. The Swan Hotel’s brasserie and bar are welcoming places to relax and enjoy the very best of the Cotswolds’ cuisine, or simply a drink with friends. From traditional dishes to elegant European dining, you can opt to eat by the cosy fireside in winter or in the courtyard when summer warmth tempts you outside. The hotel is set in beautifully kept cottage English country gardens, where you can relax with afternoon tea or a drink before dinner in summer. It’s also the perfect spot to get married. Celebrating a special occasion? Let our organisers make it easy for you! Arrange exclusive use of our rooms for your event, with menus to suit your requirements. Accommodation is available, so you can party the night away and stay for an award-winning breakfast next day. If you’re visiting for a few days, we’d be delighted to recommend places to visit, such as Broadway, Hidcote, Snowshill Manor and Sudeley Castle or even a guided tour around he Cotswold villages. Bibury is a short drive from roman Cirencester or Oxford; while Cheltenham’s festivals, racing and shopping opportunities are also nearby. 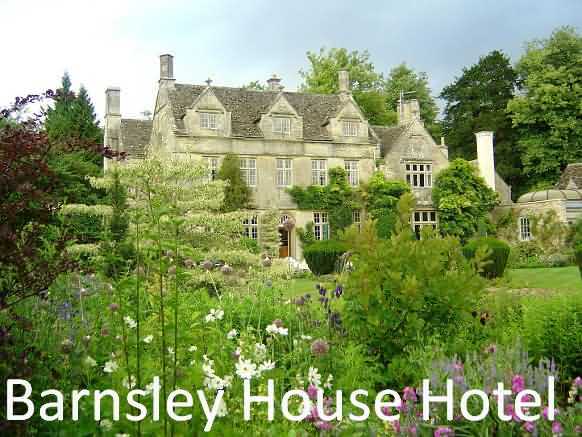 Featuring free WiFi and a restaurant, Barnsley House is located in the Cotswold village of Barnsley only 3.3 miles from Bibury. The hotel has a terrace and views of the garden, and guests can enjoy a drink at the bar. Free private parking is available on site. 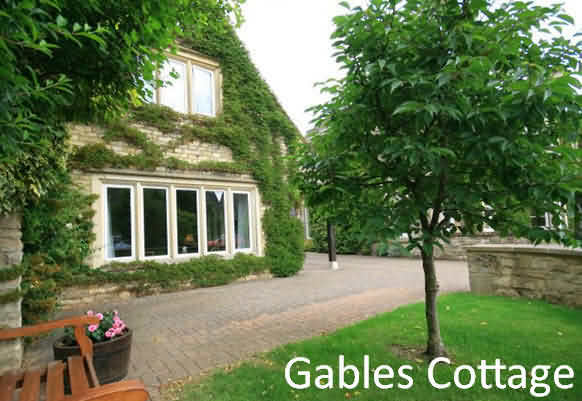 Located in the village of Coln St Aldwyns (2.4 miles from Bibury), this inn is within 9 miles (15 km) of Keith Harding's World of Mechanical Music, Church of St. Peter and St. Paul and Cotswold Wildlife Park. Cotswolds Woollen Weavers and Cirencester Church are also within 12 miles (20 km). A restaurant, a bar/lounge and Free newspapers are available at this smoke-free inn. Free full breakfast, free WiFi in public areas and free self parking are also provided. Other amenities include a garden and a picnic area. All 15 bedrooms provide conveniences such as sofa beds and coffee makers, plus complimentary wireless Internet access and TVs with digital channels. Free bottled water, ceiling fans and hairdryers are among the other amenities that guests will find. Featuring a garden, Deer Park Cottage is a vacation home located in Hatherop. It provides free private parking. Located only 2.4 miles from Bibury. Oxford is 22 miles from Deer Park Cottage, and Stratford-upon-Avon is 31 miles away. 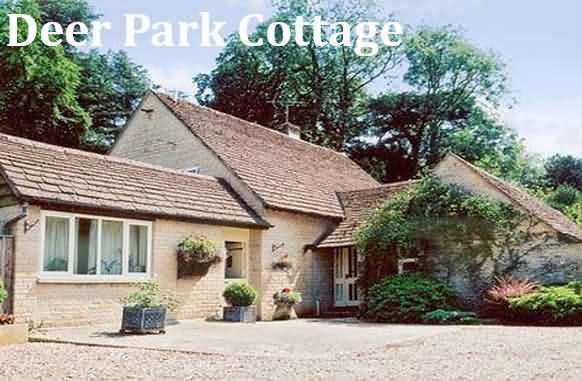 The nearest airport is Bristol Airport, 47 miles from Deer Park Cottage. This property also has one of the top-rated locations in Hatherop! Guests are happier about it compared to other properties in the area. Bibury Holiday Cottages are 4 star rated self catering holiday accommodation set in the heart of the outstandingly beautiful village of Bibury on the river Coln in this most picturesque corner of the Cotswold Hills. Bibury Holiday Cottages are perfect examples of a Cotswolds holiday cottage. The Stables (Sleeps 3) - A converted Cotswold Stone Barn with views over the winding valley of the River Coln and the centre of the Village. There are 2 bedrooms (1 double, 1 single), bathroom with bath, whb, wc ,heated towel rail and TV. The spacious first floor living room with high-beamed ceiling and french windows has colour TV/DVD & free WiFi, and the adjoining fully fitted kitchen includes a microwave, washing machine and dishwasher. Price from £350.00 per week. The Tallett (Sleeps 4) and Granary (Sleeps 3) - Both properties have colour TV/DVD & free WiFi and fully fitted kitchens with microwave oven. The Tallet has accommodation and facilities similar to the “The Stables” except that it sleeps 4 people (2 double bedrooms) and the bathroom has bath with shower over, whb, wc and heated towel rail. The Granary has 2 bedrooms (1 double, 1 single) and the bathroom has a large cubicle shower, whb, wc and heated towel rail. Price from £350.00 per week per cottage. The Bakehouse (Disabled Friendly, Sleeps 2) - Tucked away on the edge of the main gardens is : “The Bakehouse”, a detached Cottage. It has particularly well-designed and spacious accommodation inside and its own patio and sitting area outside. Twin Bedroom with ensuite and TV/DVD & free WiFi. Fully fitted Kitchen including Dishwasher, Washing Machine, Fridge/Freezeer. Downstairs Shower Room with whb and wc. Price from £400.00 per week. Group bookings, wedding parties etc, are catered for as are mid-week and weekend breaks. Gable Cottage is a delightful holiday cottage set in the heart of Bibury - a village described by William Morris as 'the most beautiful village in England'. One of a pair of cottages, Gable Cottage is set close to the owner's home and has been furnished and equipped to '4 Star' standard. Internally the cottage is presented to a very comfortable and appealing style with the open plan living space downstairs especially attractive. The cottage has a particularlyattractive location which is on the edge of the village. This property can only accommodate 4 maximum (including babies in cots).